On the northern boundary of the valley, San Quirico d'Orcia grew up around the mediaeval village of Osenna. In 1256 it was taken over by Siena. It still retains its mediaeval town-planning structure. 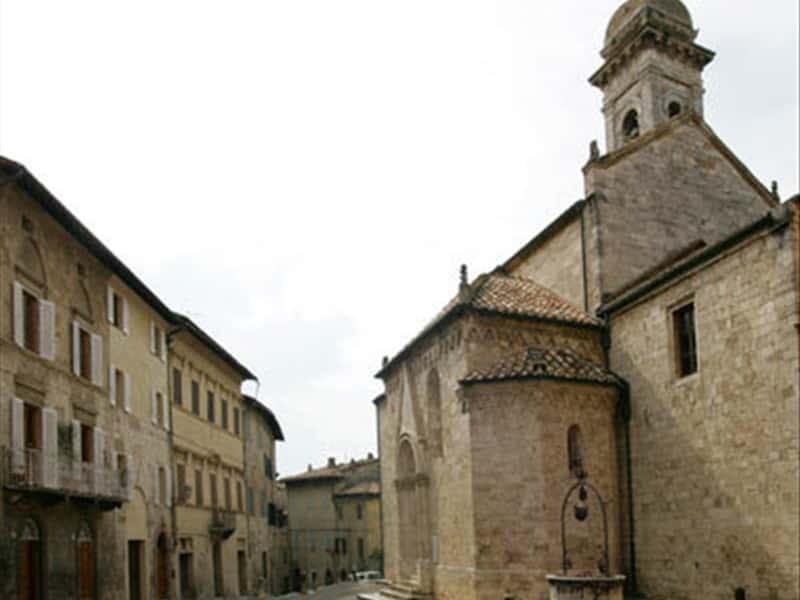 In the centre, enclosed by walls, you can visit the Collegiate Church of Saints Quirico and Giulitta its magnificent Romanesque-Gothic portals, the church of the Misericordia Palazzo Pretorio, Palazzo Chigi andSanta Maria di Vitaleta. The Horti Leonini, with its formal gardens laid out around 1540 by Diomede Leoni, hosts exhibitions of contemporary sculpture. Your visit is completed with the church of Santa Maria Assunta , the Rose Garden and the ancient Scala Hospital. Continuing south on the Cassia you come to Cassia si raggiunge Bagno Vignoni, a spa centre founded in the middle ages and celebrated for its "water piazza". On the slope going down to the river, the Mill Park, is an interesting testimony of mediaeval hydraulic construction and techniques for exploiting the power of water. This town web page has been visited 116,116 times.